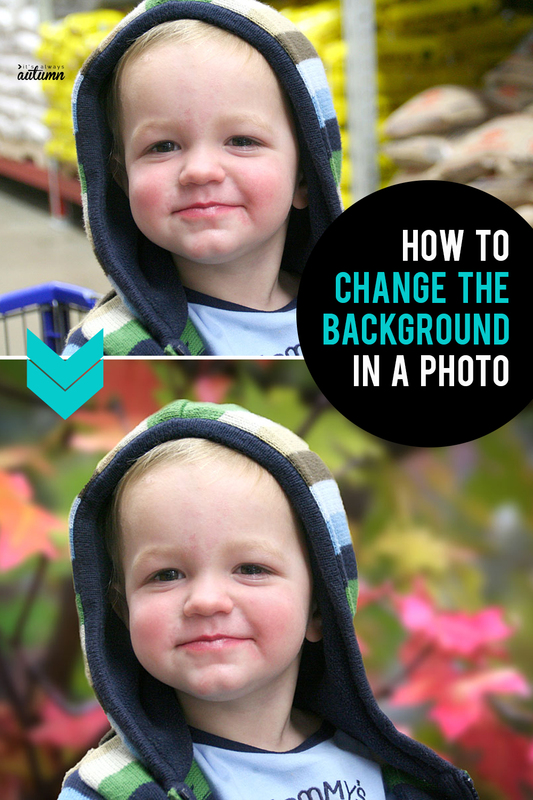 In today’s post: Learn how easy it is to change the background in a photo in just a few clicks! Replace a bad background with a beautiful one. All my kids are in school full time this year, and there’s plenty about it I’m enjoying. Getting grocery shopping done in half the time, actually finishing projects I started forever ago, and eating ice cream while watching Poldark without anyone asking for a bite are a few of the things I’m really pretty happy about. But at the same time, I’m not too jazzed about the fact that my kids are getting so old. There’s this little voice of panic running through my head: When did they get so big? How is it possible some of them will be moving out within a couple of years? Did I teach them enough? Did I enjoy them enough? How do I freeze time? And so on and so forth. As I was panicking about all this a few days ago, I pulled out my old computer and started looking through thousands of photos of my kids from the past 16 years. Talk about a walk down nostalgia lane! 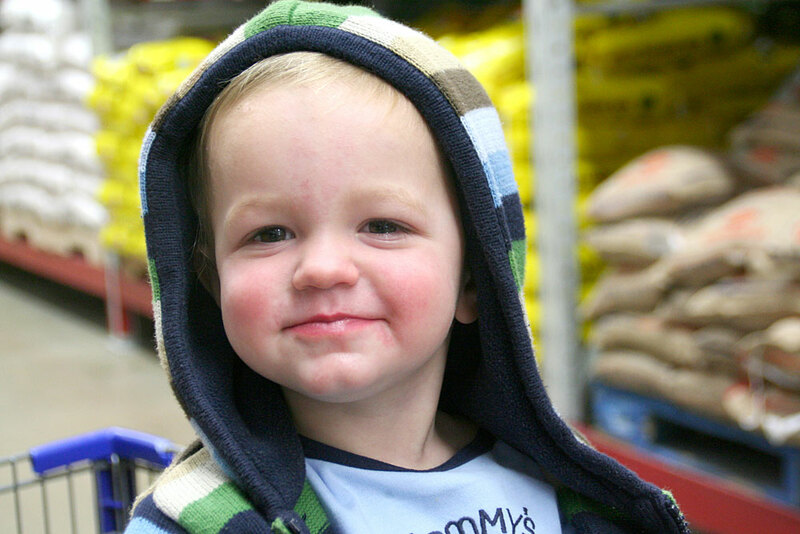 One photo in particular caught my eye – a super cute shot of my youngest son as a toddler that I’d taken in Costco. He looks adorable! Too bad the photo background is a bit lacking (unless you regularly pose your toddler in front of pallets full of warehouse sized food). I knew this would be a perfect photo a practice a little Photoshop Elements magic on. 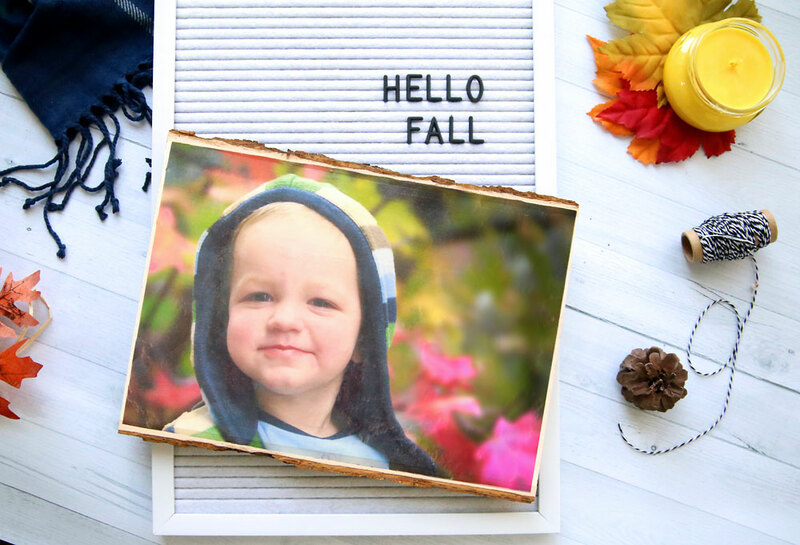 The newest version of my favorite photo editing software – Adobe Photoshop Elements 2018 – was just released today and it has some cool new features, including an easy Guided Edit that allows you to swap out the background of your photo. Goodbye pallets of rice, hello fall leaves! Thank you to Adobe for sponsoring this post. You’ll start by opening up a photo in Guided mode of Photoshop Elements 2018. Guided mode is where you’ll find all of the Guided Edits, which are easy tutorials that walk you through a cool photo edit with simple step by step directions. The guided edits are one of the reasons Photoshop Elements is my favorite photo editing software! 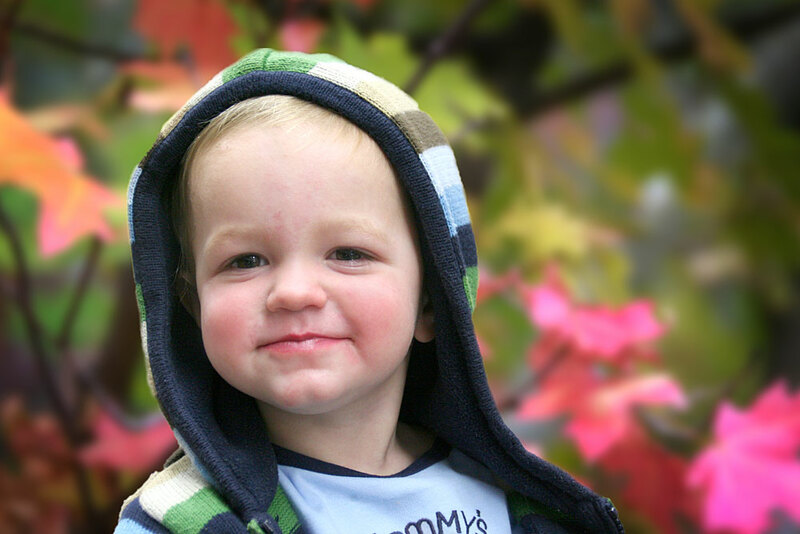 If you’d like to change the backgrounds in some of your photos, click here to download a free trial of Adobe Photoshop Elements 2018. And check out my other photo editing posts here. One last note: Since my finished photo turned out so cute I knew I wanted to print it out to display, so I decided to use my easier-than-ever photo transfer method to transfer the photo to a wood plank. Click through to see how I did it in under 10 minutes: easy photo transfer to wood. And find my master list of photo crafts and photo gifts right here. Thanks! Thank you so very much for this post I love this idea.A definite future project. Your son is adorable. I feel exactly the same way. Where did the time go. My oldest grandchild is 20! Eels! I would do it over in a blink of an eye. I was in one of your PSE classes at SNAP 🙂 so I have PSE 15. But I don’t use it to the degree that it’s capable but I’m going to investigate what other features my version has that I’m not using. Also, such a great idea to transfer the images. Where do you get Tattoo paper? Your transfer turned out great! Thanks for these tutorials. I really want 2018. I have the 15 version and I love it. I was also in your class at SNAP and learned quite a few tips. Your projects and your blog are very nice. Great post. I will definitely come back to read it again and try out our tips and check on the helpful links you provided. Really fantastic resources. I love this post. thanks, da owner. I always follow this website and I love to this site for more update resources. thanks for this today post.